Opened to replace Bar Budda in the Odyssey Pavilion. 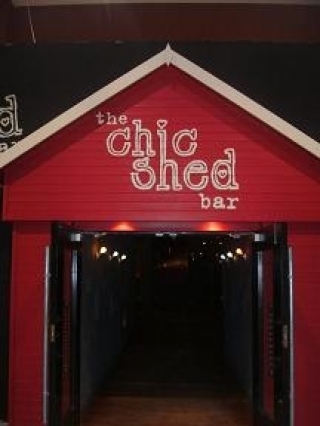 Chic Shed is a stylish bar with great drink offers on. If your out in the odyssey its worth a try. Have you got Google Earth on your computer? If so, then download the Google Earth view of Chic Shed. Is this the wrong position for Chic Shed? If you think so, then modify its position. Click / Tap the button above to get directions from where you are to Chic Shed. Jesus yet another rubbish Odyssey bar. Dirty, bad service and empty on the two times I've been in. They need to just give up there. Went for drinks here on saturday night its a really funky bar nothing like the other bars and clubs in odyssey its great if your looking a drink were you can get served at the bar quickly and have a dance, will deffently be back again! was here on friday and to be honest the place is really good. bar staff are amazing really polite and easy to talk to. will defiantly be going back. best bar out went a few times and really cant beat it if they had a bit more of a crowd they could be the next best night out. Is this place ever open?? Ive been to the odyssey a few times and everytime this place is always closed lol.. Does anyone know why? ?